Looking to get away...from some bounty hunters? 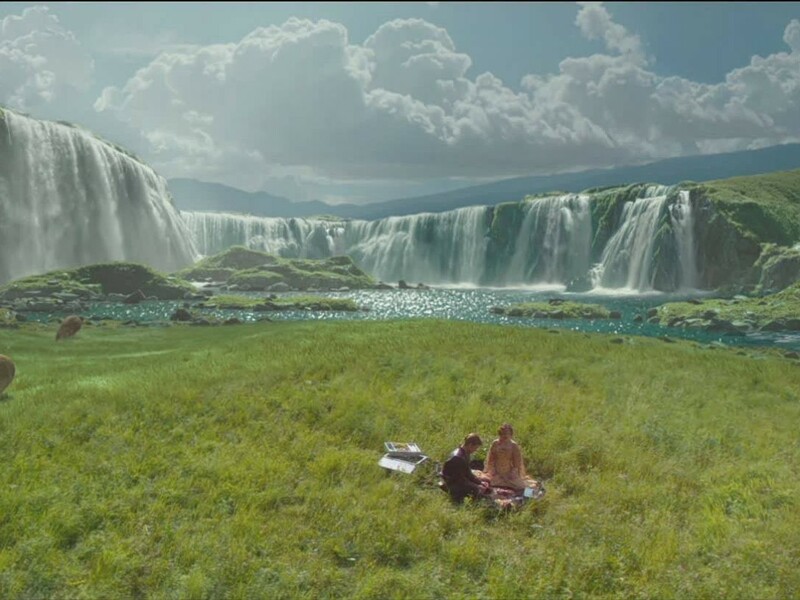 Visit the filming location for one of Naboo's most stunning locales. 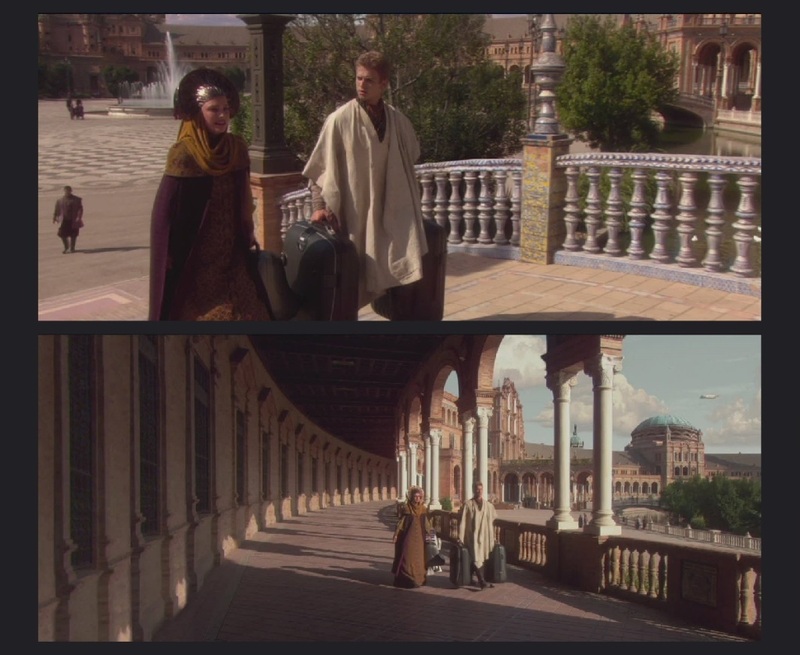 In this fifth part we return once more to the planet of Naboo, which may have been filmed mostly in Italy, but another country that was used was Spain. There, they filmed the arrival of Anakin and Padmé in a beautiful plaza area before entering the Theed Royal Palace, as seen in Attack of the Clones. Spain (or Reino de España in Spanish) is an European country in the south-west of the continent, forming the Iberian Peninsula together with Gibraltar and Portugal. Besides sharing its border with Portugal (to the west) and Gibraltar, a small British Oversea territory and the most southern part of the Iberian Peninsula, Spain shares a border with France and Andorra to the north. Spain is one of only three countries to have both Atlantic and Mediterranean coastlines, the other being France and Morocco. Climate: Most of the peninsula is characterized by a Mediterranean climate with warm and dry summers and cool to mild and wet winters. However, parts of the country have different climates. There is a semiarid one in southeastern quarter of the country where the dry season extends beyond the summer, while the northern quarter of the country (including the Basque Country) there is an ocean climate with the temperatures being influenced by the ocean without any seasonal drought. 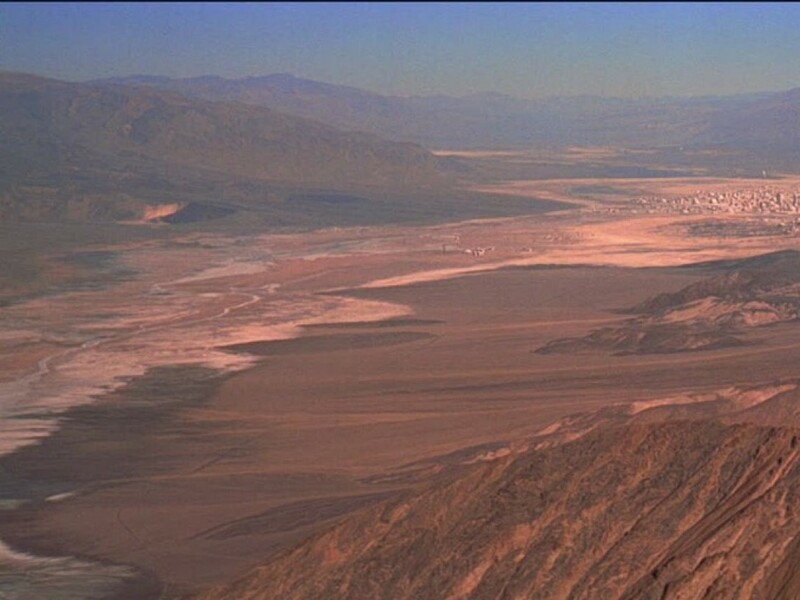 Best time to visit the shooting locations: During the spring, in the months from April and May/June, when the temperatures are not as hot as when they actually filmed the scene, which was on September 13, 2000. Spain: Depending from where you start your journey there are many ways to Spain. If you are from a neighboring European country you could drive to Spain, passing through France and the Pyrenees, or go by train with the high-speed train AVE leaving from Paris only to arrive six hours later in Barcelona, from there you can easily find connecting trains to all mayor cities like Madrid or Seville. As with any country aimed on tourism, it features many airports in all the major cities like Barcelona, Madrid, Valencia, Granada, Girona, Alicante and Almeria, among many others. 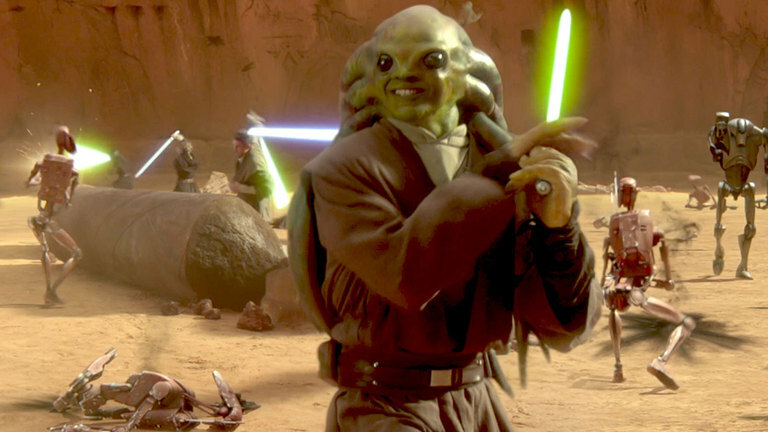 Seville, the city used in Attack of the Clones, also has their own airport: San Pablo Airport (IATA: SVQ), only this airport cannot be directly reached from outside Europe. For those coming from outside Europe, it may be advisable to fly to Madrid (Adolfo Suárez Madrid–Barajas Airport, IATA: MAD) instead and take an AVE train to Seville, which can take up to three hours. 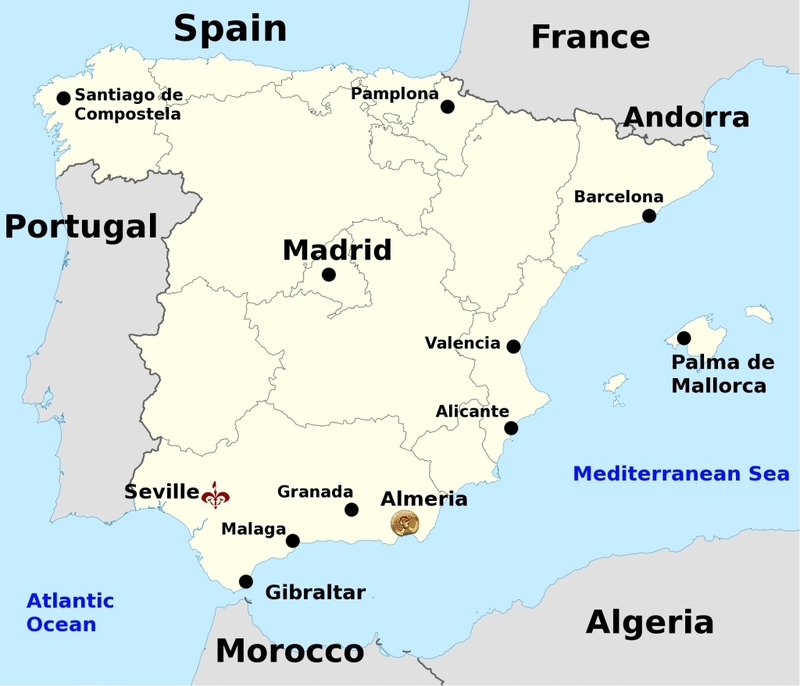 Map of Spain showing the shooting location and other important destinations. Seville is the capital of Spain’s Andalucía region, situated on the banks of the Guadalquivir River, which divides the city into two halves. The river played an important role during Roman times as an important port of trade, which continued when Seville had fallen under Muslim rule. With the discovery of the Americas a golden age of arts and architecture began for the city resulting in a rich cultural heritage that you can see to this day. Ever since hosting the International Exposition in 1992, Seville has been home to top-notch tourist facilities, like the airport, a better train station with a bullet train connection to Madrid, and many improvements made to the city’s boulevards. Tourists can enjoy themselves with the thrilling nightlife and festivals like and Feria de abril, which is a week-long celebration of the end of the somber, yet impressive, Semana Santa Easter week. Feria de abril offers everything that is great about Spain like Flamenco dancing to the sound of guitars and Tapas, but this short description is selling it too short, it is something that you need to experience to fully understand. The city has been recognized three times by UNESCO, placing the Alcázar palace complex (make sure not to miss the room where Christopher Columbus planned his journey to the Americas), the Cathedral (largest one in the world, third largest church in the world and resting place of Columbus) and the General Archive of the Indies (which has Columbus’ diary on display) on their list of World Heritage Sites. For us movie and TV lovers, Seville is also the location used in Lawrence of Arabia, Kingdom of Heaven and the hit series Game of Thrones, season five. Anakin, Padmé and R2-D2 in Seville. Part of The Maria Luisa Park (Parque de María Luisa), Plaza de España was designed by Aníbal González to feature as the Spanish Pavilion during the 1929’s Ibero-American Exposition. The Plaza de España complex is a huge half-circle with buildings continually running around the edge of a moat, which you can cross by bridges representing the four ancient kingdoms of Spain. Across these bridges, next to the walls of the buildings, are the tiled ‘Alcoves of the Provinces’, representing the various provinces of the country. In the centre is the Vicente Traver fountain. If you visit the Plaza early in the morning on a weekday you will see a long line of immigrants outside the government offices the buildings now houses, or visit it right before it closes (officially at 10 p.m. but likely half an hour later) to see it completely empty and rather eerie. On Wednesday, September 13, 2000, cast and crew started filming the walk across the plaza starting from the fountain towards the Navarra Bridge (fourth from the left). The next take was crossing the bridge, including walking the stairs. Then the cameras moved to the left part of the archways, close to the Museo Histórico Militar de Sevilla (Historic Military Museum) to shoot the last part of this scene. 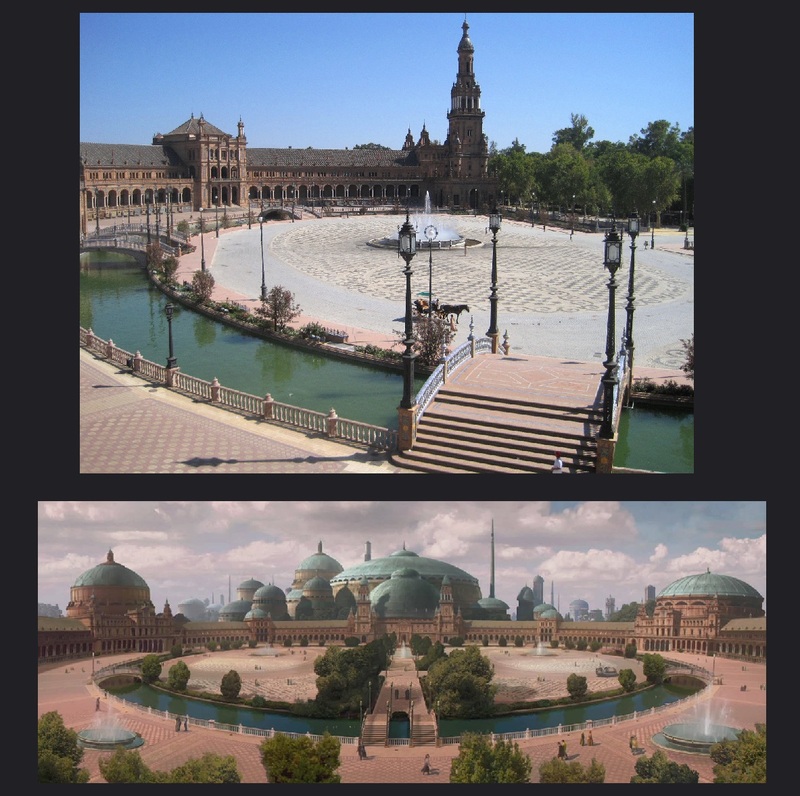 The real plaza vs. the plaza as seen in Attack of the Clones. 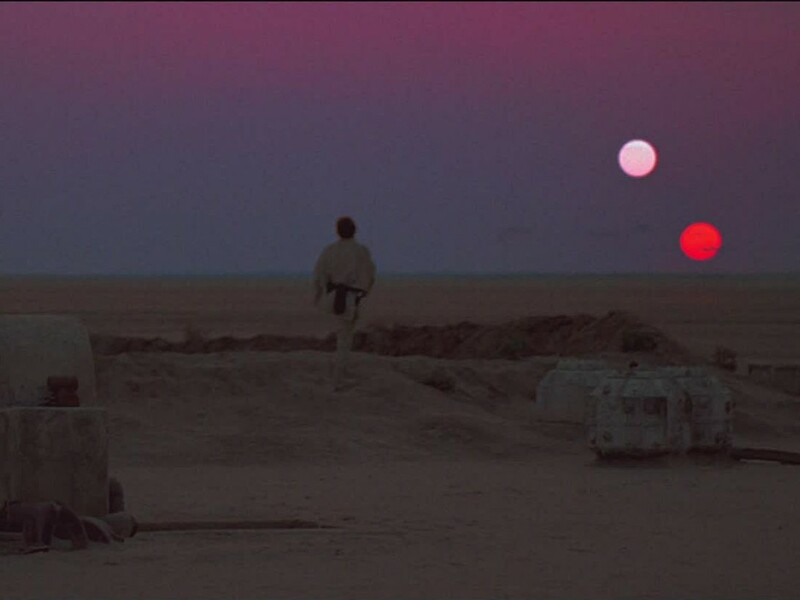 It is not uncommon for the Star Wars movies to alter the backgrounds of locations, but it is clear that ILM went the extra mile for this plaza. As you can see in the image above, the plaza in the movie is a full round plaza, and not the half circle it is in real life. Added to the existing buildings also are the typical green domes that we saw before in The Phantom Menace, which we saw ILM do later in the movie to Villa del Balbianello as well to make the look of Naboo architecture complete. ILM then also added a new walkway with bridges and extra fountains, as well as adding a big building in the background that looks a lot like the Theed Royal Palace, in which the next scene takes place. 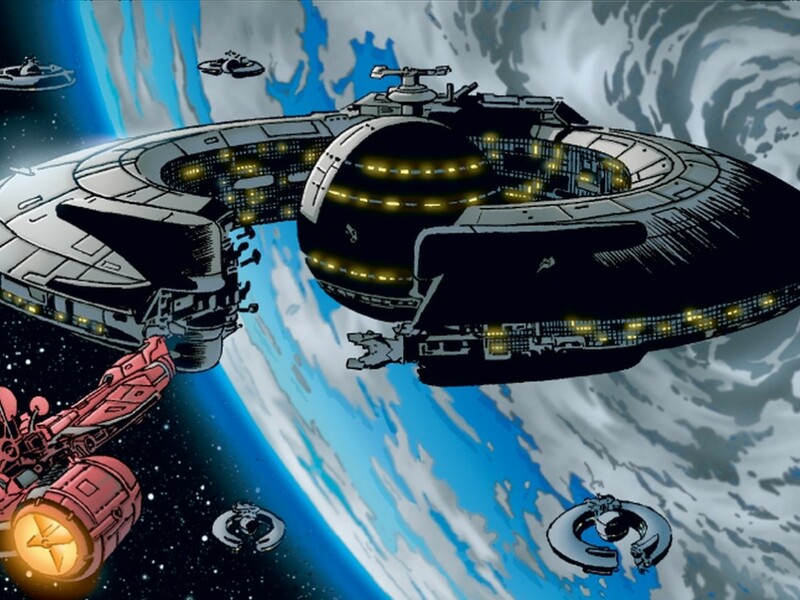 However while this building appears to be the Royal Palace, it is not because the domes do not line up with the ones from the Palace and in the far-away shots of Theed in Revenge of the Sith we can see the plaza buildings to the right of the Royal Palace. What else to do in Spain? Spain has a lot to offer, so the following is just a small selection. Madrid – The capital of Spain has a lot to offer the tourist with many museums (among them the world-famous Museo Del Prado), theaters, and opera. The swinging heart of the city is the Puerta del Sol, a plaza with many places to eat and drink. For shopping you can best go to the Gran Via which also holds many good places to go out at night. Also a must to see is the beautiful park Parque Del Buon Retiro with the glass palace Palacio de Cristal, the Nuestra Señora de la Almudena cathedral. Barcelona – Spain’s second city is known for its clear divide of old and new. Where the new city has nice symmetrical “avenidas,” the old town (Barrio Gótico or Gothic Quarter) consists of small winding streets close to harbor and the Ramblás Boulevard. Barcelona is also known as the city of Gaudi and his presence is found in many buildings, the most famous of which being de Sagrada Familia church. Other places to see are the Olympic Village, Camp Nou stadium, and the Picasso museum. Valencia – A beautiful coastal city with a diverse array of different architectural influences. 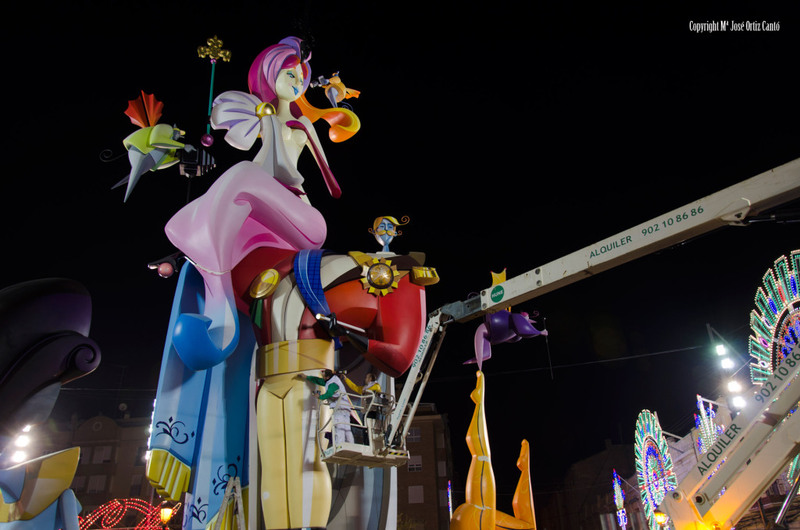 Each year there is a big festival known as Fallas that you will have to experience to understand. Big part of this festival is creating beautiful papier-mâché monuments and burning them on the last day. Another famous festival that is held in Valencia is the so-called “La Tomatina” in which, just for fun, the streets are filled with people throwing tomatoes at each other. Valencia is also the birthplace for the popular Spanish dish Paella. Pamplona – This city in northern Spain is most known for the San Fermín festival that is held each year with the main attraction being the “Running with the bulls” in which tourists and locals run along the streets while trying to avoid the bulls that are let lose in the city. Pamplona is also the first main city on The Way of St. James, an important Christian pilgrimage route to Santiago de Compostela. 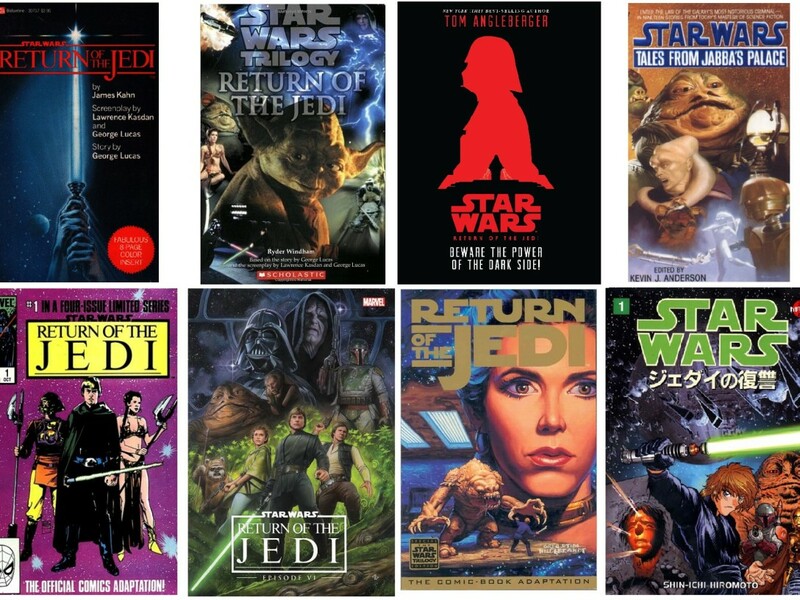 Join us next time for a trip to England, home to many important locations from the saga! Special thanks go out to Cecilia Ortiz Cantó for her local knowledge and tips! 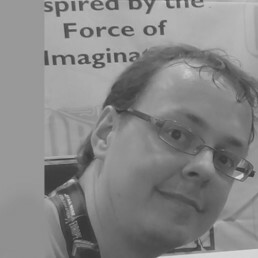 Sander de Lange (Exar Xan) from the Netherlands worked on the Rogues Gallery feature in Star Wars Insider and has written the backstory for Niai Fieso through “What’s the Story?”. He is an editor for TeeKay-421, the Belgian Star Wars Fanclub and an administrator for the Star Wars Sourcebooks page on Facebook Being born in Deventer, a city used to shoot the world-famous movie A Bridge Too Far, he always had a passion for shooting locations and tourism, in which he hopes to find a job.